A project demands the commitment and diligence on the part of every team member involved. It should also demand performance from the software implemented to help your team deliver results. Project management software is quickly becoming the make it or break it factor when it comes to the successful deployment of a project. When you need to go to work like never before, project management software goes to work for you. Efficient software allows team leaders to manage time, talent, and collateral like never before. Simply put, project management software saves companies time and money. Why would a manager consider arming his team with anything less than the most cutting-edge software be considered acceptable? Setting up your staff with the right software means setting them up for success. With so many ways of communicating in the modern office, and outside of it, important messages can get lost in the shuffle. Along with this tidal wave of information, critical things such as deadlines, expectations, and concrete progress reports can also become a source of confusion for the managers implementing leadership. If a manager wants an effective way to lead while navigating a project, it is critical that they provide a clear path to success, with the help of data organization through management software. You can't scratch the surface of the reasons why project management software is important without discussing the implicit cost savings and resource savings that software can help achieve. The nature of management software is accountability on time, resources, and priorities. 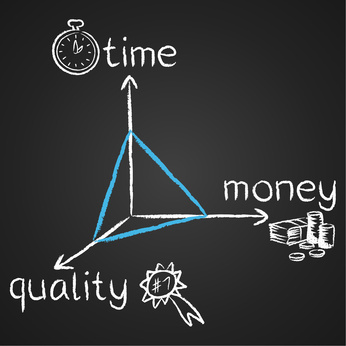 The loss of time and money due to ineffective management of time prioritization is one of the biggest vacuums into which a company's resources and profits are commonly sucked into. The schedule of a project manager is chaotic. With pressure, deadlines, and human resources issues in a constant state of flow, trying to tackle the meat of a project can seem like an insurmountable odd. One of the biggest hindrances to a project's success is a lack of communication among team members, or worse, communication that isn't relayed effectively. It can be impossible to keep track on who has been copied on an email, who has access to certain spreadsheets and documents, or who was present for certain meetings or conferences. Keeping tabs on every employee's schedule can be a full time job in and of itself. That is why having a software program that can keep track of this data is a time-saving tool for a busy manager. How much of their day does the average manager spend fielding questions about specific deadlines or scheduling meeting times among staff? Imagine wiping away part of the time-consuming administrative aspect of managing a project and being able to devote that time to effective governance and creativity? The beauty of project management software is that it creates an efficient "dump ground" for vital information, which is then itemized and displayed in a way that is conducive to good time management. Having your vital information in one system is so much more effective than chronicling data and details in various forms and spreadsheets. Software allows you to keep a self-contained log of your project that exists in real time and which allows you use empirical information in order to rate progress and make judgment calls going forward. Imagine hearing members of your team using these adjectives to describe your leadership style. These are qualities every manager should strive for. Yet, more often, team members perceive mangers as adjectives like frazzled, overwhelmed, and disorganized. This perception not only leads to a breakdown of efficiency between employees, but it also contributes to a negative company culture and a feeling of dis-empowerment among staff. Unfortunately, the task of arranging the details and scheduling of a project can often leave managers overwhelmed and exhausted. This leaves little room for them to devote to honing in their managing skills. Just think about: how often is it that a business plan is so streamlined going into implementation, that is actually takes less time than is projected? By setting up an organized strategy via management software, a project is front loaded for success before it even begins. This means that glitches along the way, and inevitable hiccups that are out of a manager's control, have less of a negative impact because the operation hit the ground running with good momentum thanks to tight planning. A clear game plan gives a sense of purpose and organization to team members. Being able to quantify expectations and give explicit directions and timetables means that participating parties know how to better manage expectations.Starting with the help of good management software lets everyone on the team know the game plan. Respected companies have discovered that business software is the golden goose that allows them to turn profits quicker and have a happier workforce. Having the right strategy in place helps to make gains, increase productivity, and run reports based on real-time progress that are critical to relevant decision making. Being able to track a project allows managing parties to make critical analysis and tweak strategy points without having to do comprehensive fact-finding and research based on mis-matched compiled data. Is your project software working for you or is managing your software adding more work to your already full plate? The bottom line is that today's modern workplace leaves little time for fussing over the minor details and even less time for mistakes made, while trying to organize progress without the help and sophistication of project management software. Take the option of lost time and money off the table, and put project management software on your desktop!